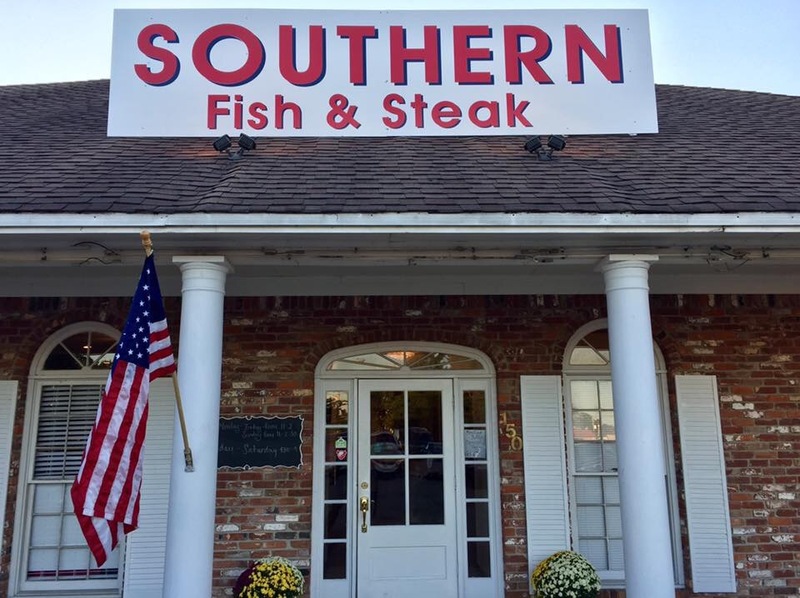 Southern Fish and Steak @ 150 South Industrial road, Tupelo, MS. Thursday night SEAFOOD BUFFET! 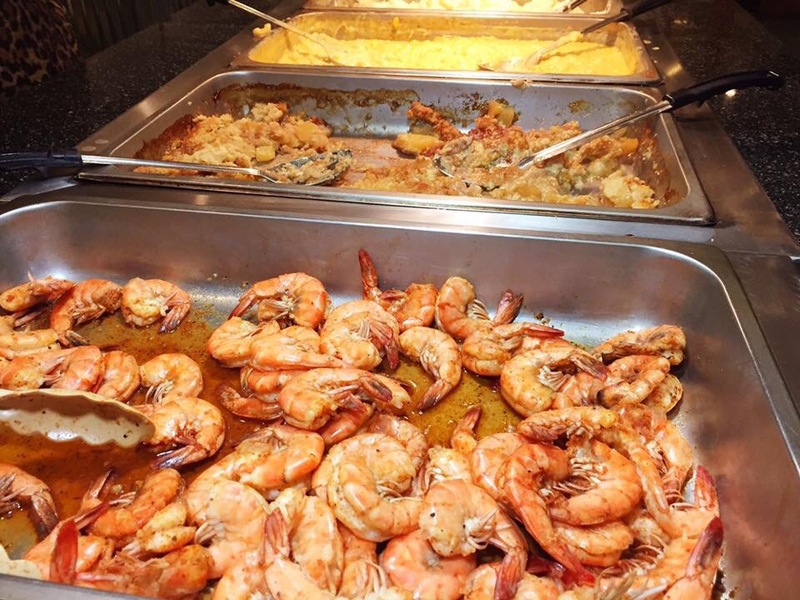 Ok Folks, I was going through my Facebook feed and saw that Southern Fish and Steak was having a first time special seafood buffet and I knew right then where I’d be eating for dinner! They will be having a repeat performance next Thursday night, so if you want this to continue, come on out and help show some Local support! I was told once they get a feel for the flow of customers and work out any kinks, they may expand to Weekends also. 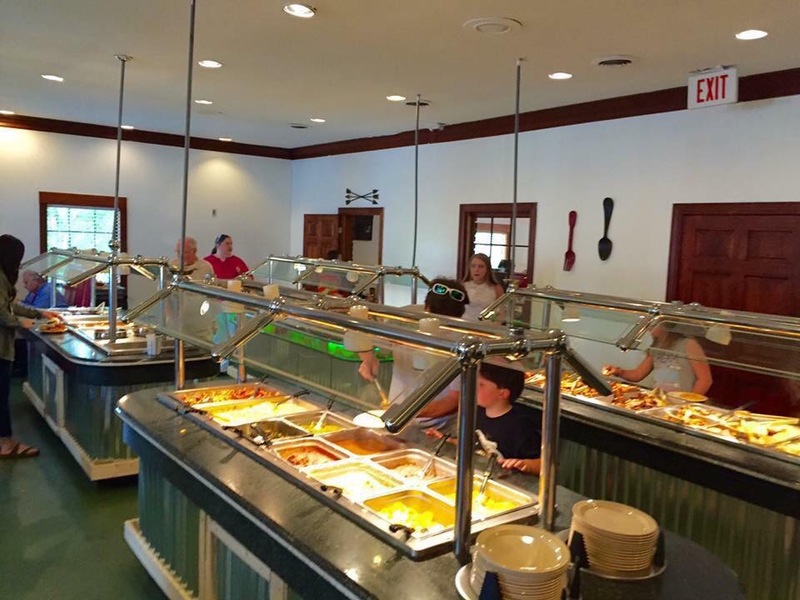 Southern Fish and Steak came on to the local food scene strong with one of the largest country lunch buffets and quality menu selections available in Tupelo. 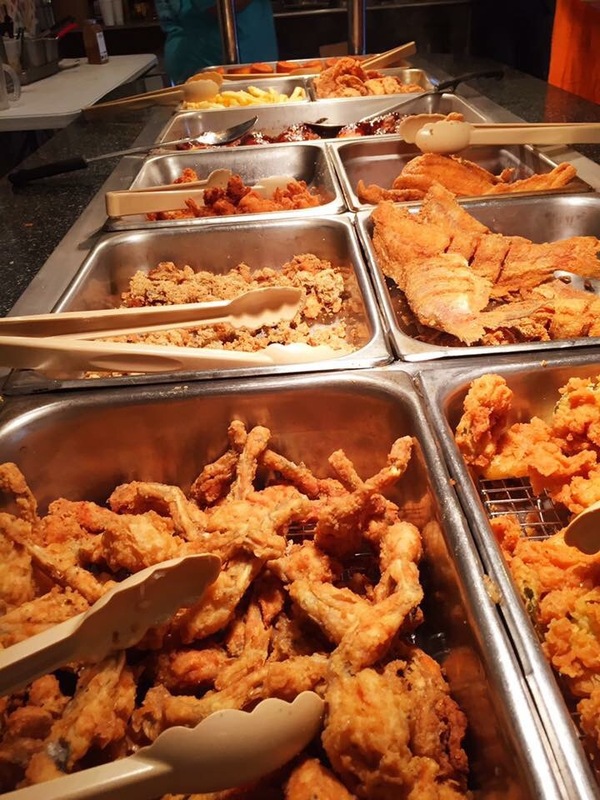 Wether it’s lunch buffet or off the nightly menu, you can count on hand breaded, perfectly seasoned selections, whatever you choose. 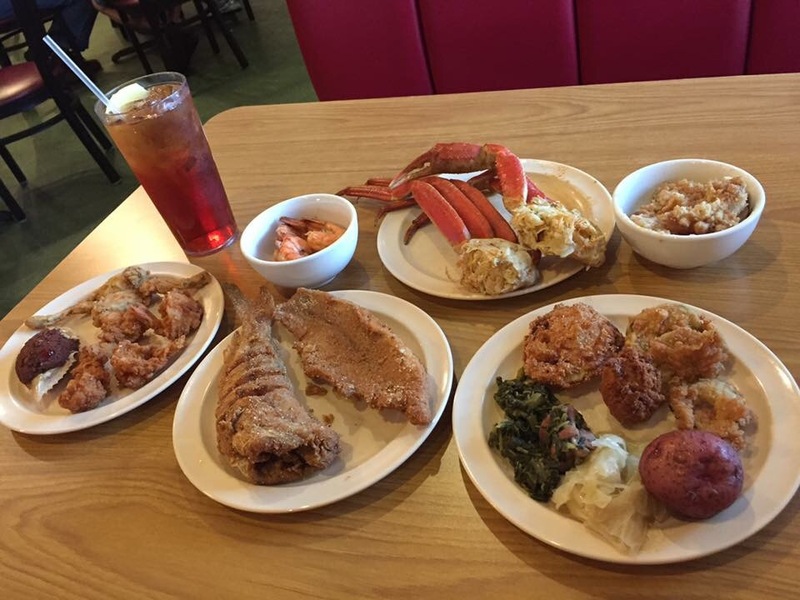 We have several excellent weekend catfish and seafood dinner buffets in Northeast, MS. However, until now we have had to venture outside of Tupelo for our fix of AYCA crab legs, fried oysters, frog legs, and shrimp…until now! Everything plus extra for my sweet tea was $24.01 after tax, before tip. Service was excellent. My glass never ran dry, and my table was checked often for clean up and plate removal. Since this was buffet, I will mention the high points. All the veggies were seasoned well. Included on the buffet were their famous hand battered fried pickles and green tomatoes. Also, the red potatoes were seasoned and tender enough to be a perfect complement to the meal I’m about to enjoy. 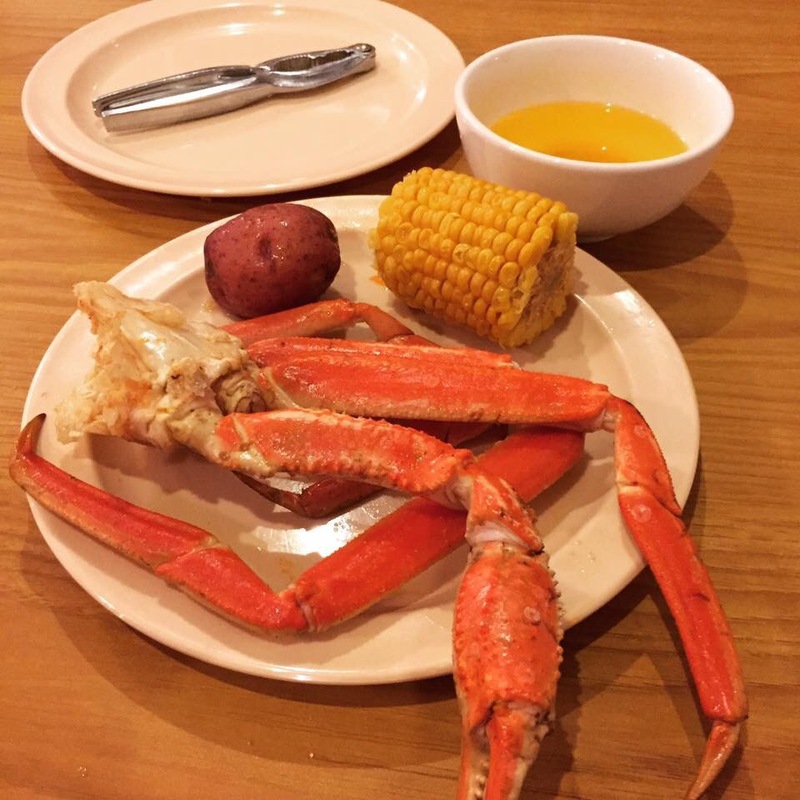 I made two trips for crab legs and came away with a full plate each time. 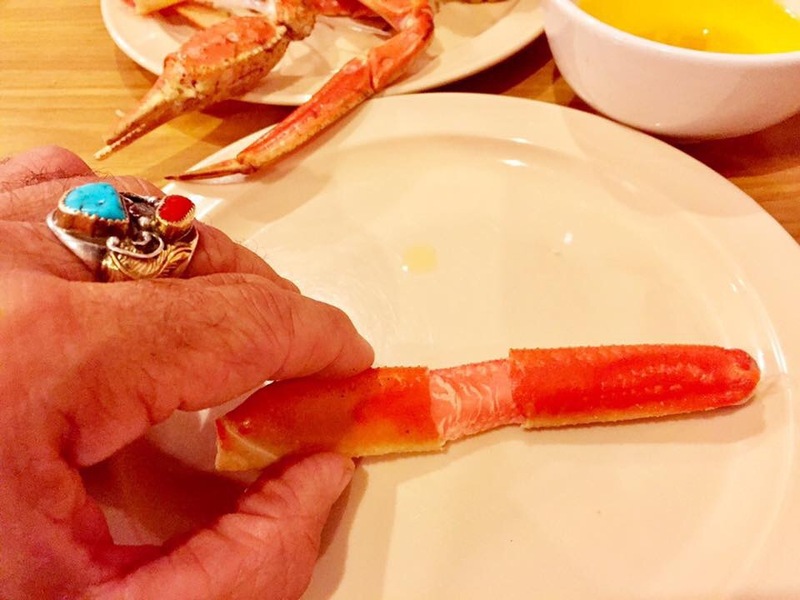 Oh, and there were still crab legs left for the next person in line behind me. This was at the top of my list of things to notice, crab leg supply and demand. 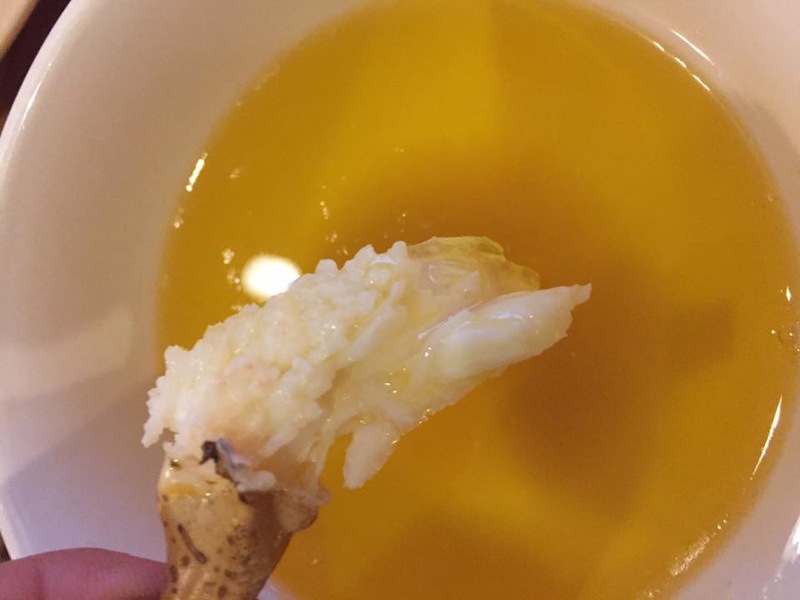 The crab leg meat came out easily for the most part, and had a nice hint of spice. I was told by the staff how important it was to achieve the proper breakage for easy meat extraction. Mission accomplished! 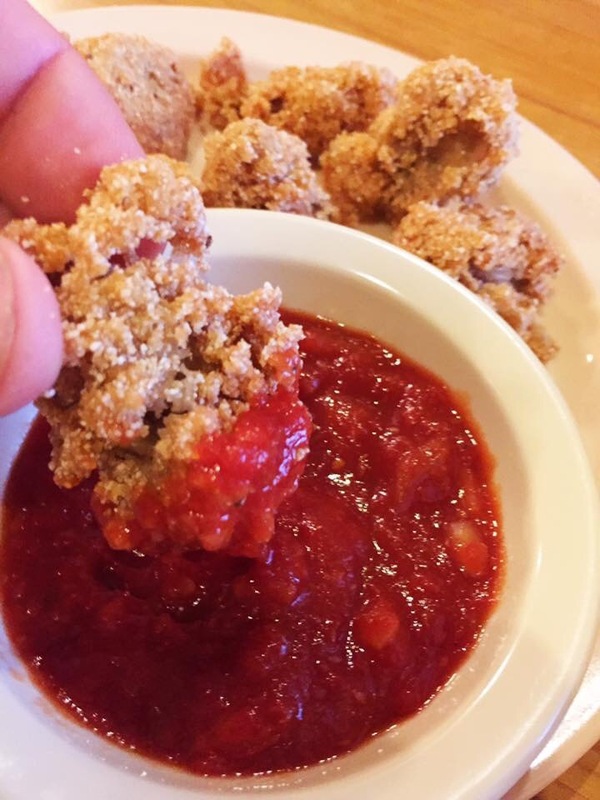 The fried oysters were battered well, and tasted great with their cocktail sauce. Their were were two versions of shrimp, fried and peel n’ eat. Both were prepared from fresh, not frozen. 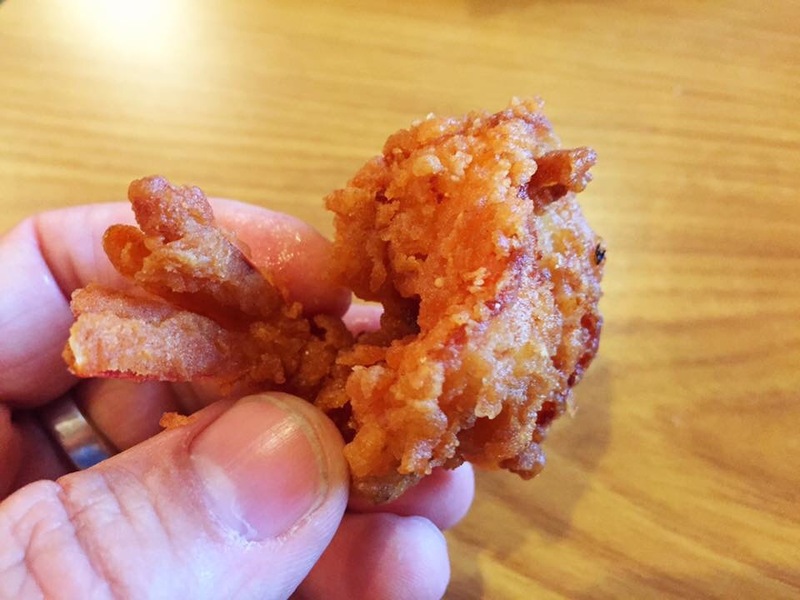 The fried shrimp was hand battered, huge, and tender. I couldn’t help but to peel back the breading to expose the monster shrimp hiding within. 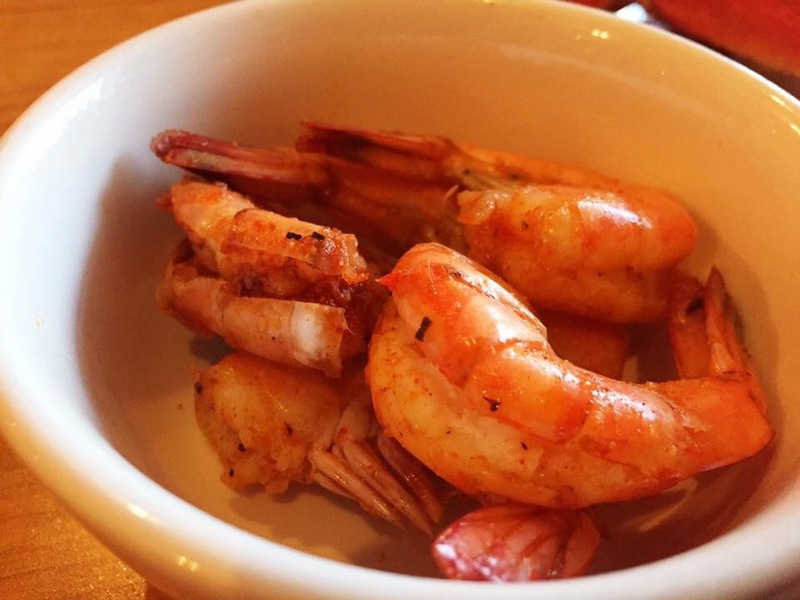 Folks, I really enjoyed the crab legs, but the boiled shrimp was a close second. Huge, split back, and loaded with flavor butterfly shrimp! 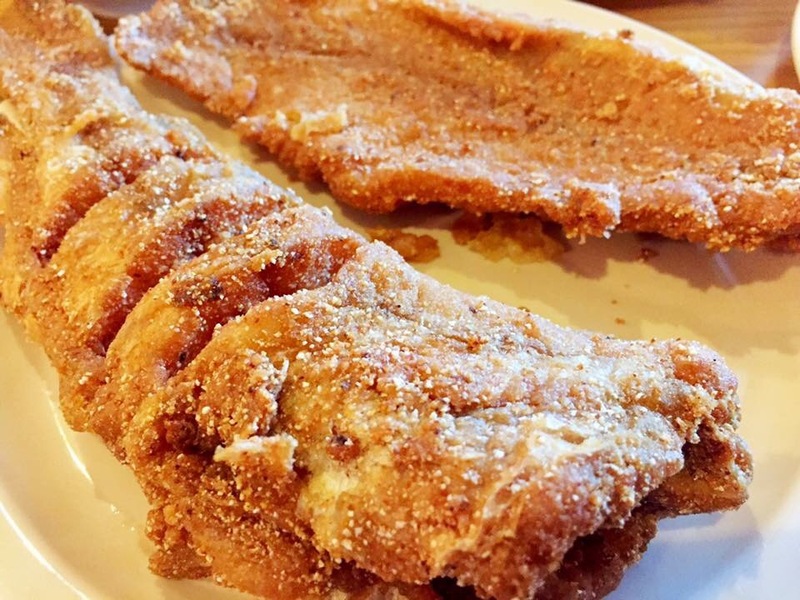 The whole and filleted catfish are U.S. farm raised. Both were large in size, hand breaded, with enough seasoning that no extra salt was required. 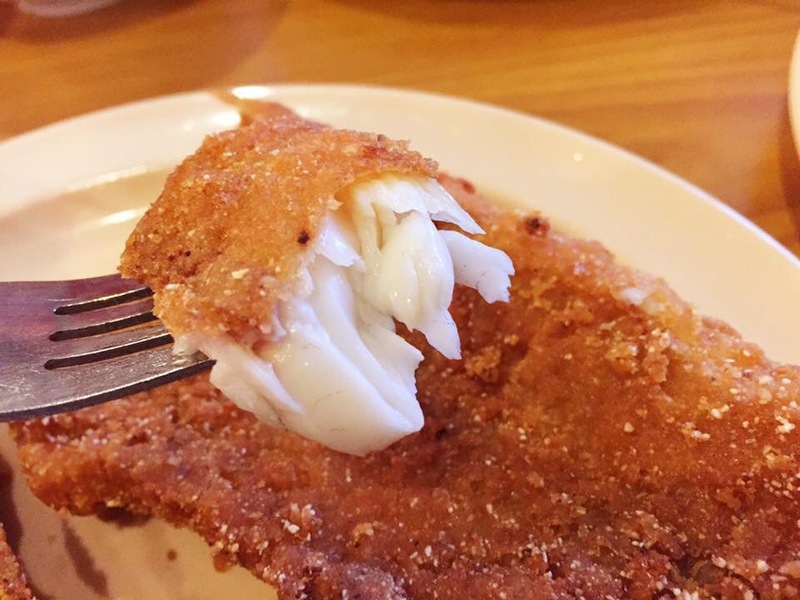 They consisted of pure, fluffy white meat and would be great as a stand alone catfish dinner. One of the key reasons I started my blog and share so many details about my favorite foods is this, when you find something awesome in your community, you gotta share if you want it to continue. 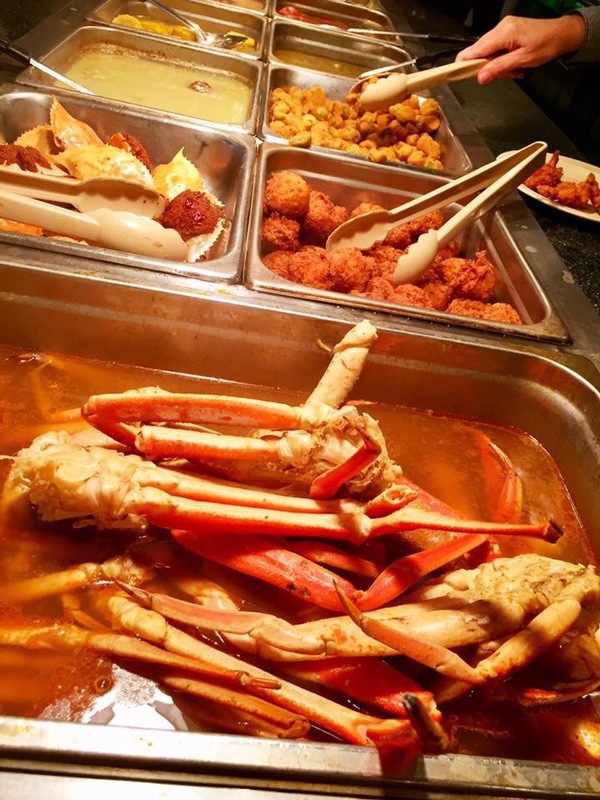 So shout it from the roof tops and post all about it from your keyboards…their is a new seafood buffet in Tupelo, and it’s AWESOME!! !